1.11 By not completing these recommendations, there is a risk that endangered species are not being properly monitored and preserved. We encourage the Department of Lands and Forestry to work towards the completion of the recommendations. I wonder if the AG is included in Minister Rankin’s groups of dissenters: “There will always be groups that aren’t happy with certain treatments in certain areas” (CBC News, Mar 25, 2019). 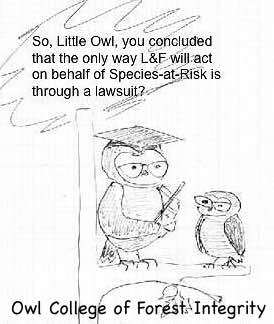 This entry was posted in Conservation, L&F. Bookmark the permalink.